The swab makes this ink look super-bright. I’ve written with this one and seem to remember being underwhelmed with the saturation. I’ll need to check it out again, though. What do you know about this one? Maybe my memory is failing me? 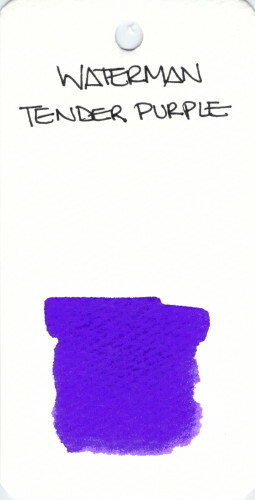 This entry was posted in INKS and tagged ink swab, purple, waterman by Christine (Pentulant). Bookmark the permalink. This is like the waterman purple ink I used a couple decades ago for bookkeeping. It is a great shade of purple.